Coming out of Arlington, VA, a 911 dispatcher got a call that went down like this: Caller: "I'd also like to be connected to Domino's Pizza please, in Arlington." Dispatcher: "That's not a, this is 911, 911 is for police and fire emergencies." Caller: "Well I can't get through on the Pizza Hut line or 411." Dispatcher: "OK, well, ma'am, 911 does not connect you to Domino's Pizza." Cops got a call from a man at Leo's Grill in Palm Harbor, Florida after he found a bandage in his soup. Even though it was a non-emergency, a health inspector eventually gave the restaurant a once-over and found over 22 health code violations. Latreasa L. Goodman called 911 three times to report that her local McDonald's in Fort Pierce, Florida had run out of Chicken McNuggets. Goodman claimed it was an "emergency" and that they tried offering her a McDouble cheeseburger instead, but she didn't want one. The 27-year-old was cited for misusing 911. 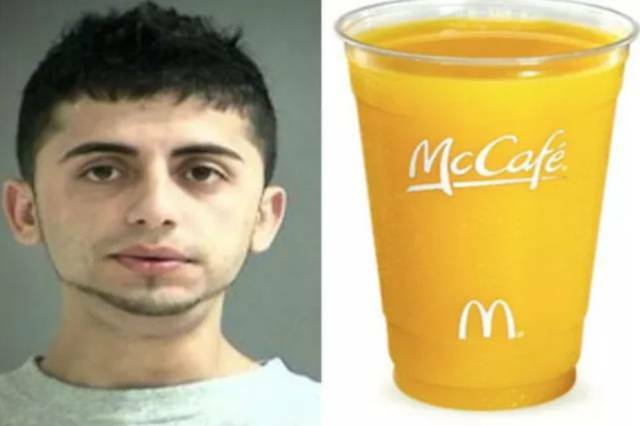 In 2009, Ray Osman called 911 when he didn't get his morning orange juice at the McDonald's drive-thru. The 20-year-old was pissed off that he took his food home, only to find that his orange juice was missing. He returned and called the cops, but he wasn't the only one; a McDonald's employee called to report Osman blocking the drive-thru lane and knocking on the windows. Instead of getting his O.J., Osman got sent to jail. Bevalente Michette Hall called 911 because she thought Subway used marinara sauce instead of "pizza sauce" on her flatbread pizza at a Subway in North Carolina. She demanded the police take her report so she could get on the news, all so she could get another flatbread pizza. Instead, Hall was sent to jail and released on a $2,000 bond. A 44-year-old woman poo-poo'ed the quality of her pu pu platter when she called 911 over her Chinese food. After getting a meal at the Main Moon Chinese restaurant in Alliance, Ohio, Tracey McCloud called the emergency services because she felt her meal was "not up to par." McCloud said she tried to figure out the situation, but the Chinese workers didn't understand her and would not give her a refund. McCloud was arrested for misuse of 911, but don't worry, eventually she got her refund. A woman called 911 because she couldn’t figure out how to cook her turkey. Surprisingly, the 911 operator kindly gave the poor woman some cooking advice, because apparently she doesn’t have access to Google? "I want my hamburger right" was the phrase of the day when an Orange County woman called 911 because she didn't get her Western BBQ burger at Burger King. The woman, who was confused about just which chain she was in, claimed she ordered the signature burger, only to receive a burger with just lettuce and tomatoes. The horror! The woman said the police need to protect her, to which the 911 operator replied, "What are we protecting you from? A harmful cheeseburger?" 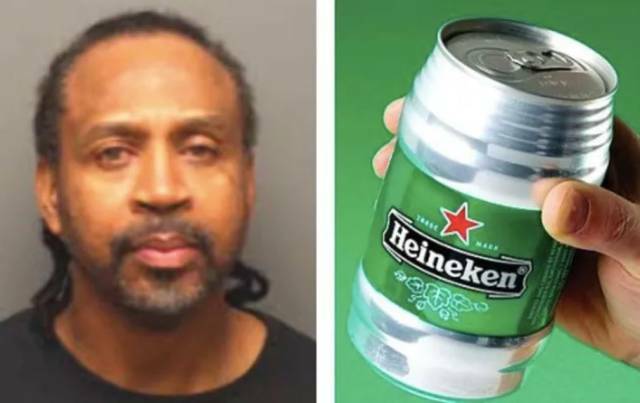 Danny Smith bought a 16-ounce can of Heineken but thought he was overcharged by a single penny. The natural thing to do is call 911, right? Smith, 51, called the number three times complaining about the Night and Day Market in Tennessee. Instead of getting his penny back, he was arrested and released on a $250 dollar bond. Michigan cop Edward Sanchez and his wife called 911 because they were afraid homemade brownies they didn't realize contained marijuana were killing them. The couple later admitted they may have put some pot in the brownies themselves, but they were eventually let off the hook for their call. Donna Marie Nichols, aged 50, contacted emergency services after ordering a burger from a Hardee's in Tennessee. When she took a bite out of it, she thought it "tasted funny." 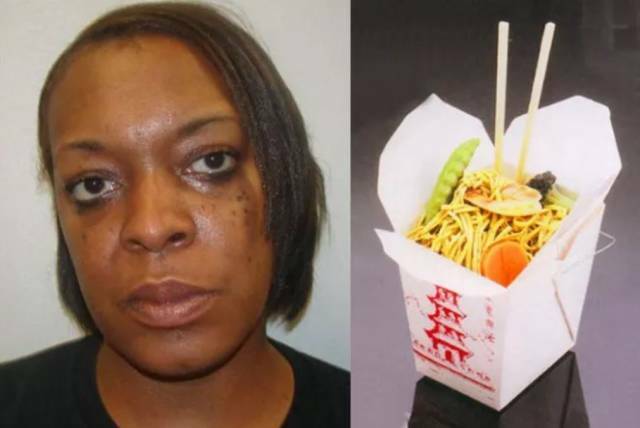 Even though it was a small bite, she told police the food was "nasty." They then arrested her for abusing the emergency services line. Well, Gail did not like the taste of the fries she got at Li'l Chick in Savannah, GA back in 2009, so she called 911. The police DID come to help her, and when the restaurant would not give her her money back, the responding officer gave her $6 dollars out of his own pocket, protecting and serving with aplomb. Reginald Peterson was so angry that he didn't get the works on his pair of Subway sandwiches in 2008, that he called 911 to complain not once, not twice, but three times. He wanted the police to oversee the sandwich artist to make sure his subs were made to his specifications, but instead he got hauled to jail. In the end, the sandwiches were tossed in the trash can. Rother McLennon specifically asked for little turkey and little ham, but a lot of cheese and a lot of mayonnaise. He received the reverse. Since they were giving him a hard time over at the Grateful Deli in East Hartford, CT, he did the one thing he could think of: called 911. When a man wanted ketchup on his Philly cheesesteak at a Subway, employee Lawrence Ordone said he never had put ketchup on a cheesesteak before. This angered the customer who got even more upset when he found out there was no ketchup in the Subway at all! The employee called 911 because he felt physically threatened. All on account of not having ketchup. In Mesa, AZ, Michael Smith and his wife Nova went nuts when a local McDonald's didn't give them hash browns with their breakfast meal. The couple went inside to protest (she hurled her bag) and the managers called 911. The cops calmed the couple down, but in the end, no hash browns were distributed. 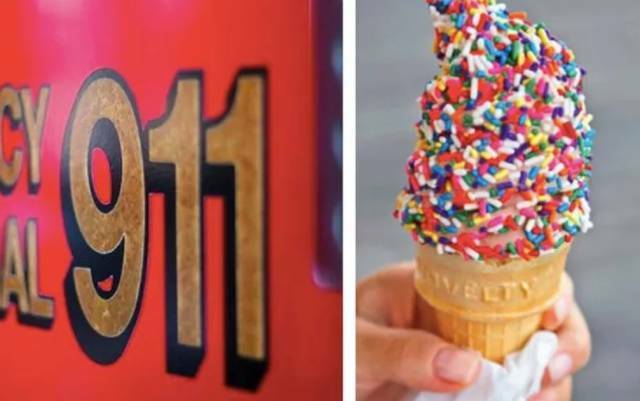 A British woman phoned 999 (the UK's 911) because the ice cream vendor did not give her enough sprinkles on her ice cream. Her complaint was that one side got sprinkles, but the other was empty. Lorenzo Riggins ordered seven McDoubles at a McDonald's in Albany, GA, but when he checked the bag in his vehicle, he realized he only had six! So, naturally, he called 911 and they came and arrested him for misusing the number. Riggins spent the night in jail and now is on a righteous crusade to make sure people check their food before they leave. Jean Fortune, a 66-year-old Haitian man in Boyton Beach, called 911 when he went to Burger King and they were out of lemonade. Instead of just ordering a Sprite, he did something equally reasonable and called 911. The dispatcher asked in disbelief, "911 is if you're dying. Do you understand that?" A woman in the Dallas area called 911 back in 2009 because she didn't get the extra shrimp she requested when ordering her fried rice at A&D Buffalo's. She left the restaurant and promptly called 911, but since she didn't come back, she never even had a chance at getting that refund or extra shrimp. In Hawaii, paramedics actually responded to a 911 call of man who needed help with his grapes. According to EMS paramedic Tony Altomare, they responded in case something was wrong with the civilian, but instead ended up washing his grapes and putting them in a bowl for him. 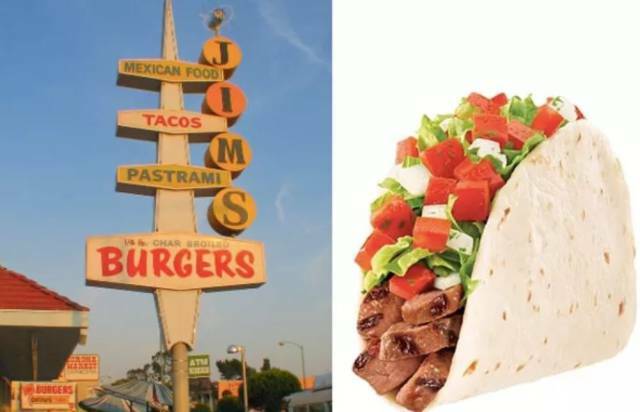 The time and date of this call are shrouded in mystery, but Antoinette Jones threw a 911 fit when she didn't get her taco after she paid a dollar for it at Jim's Burgers in Altadena, California. Jones claimed she was hypoglycemic and needed her taco stat, and even though the cop tried to help her, she was NOT happy.